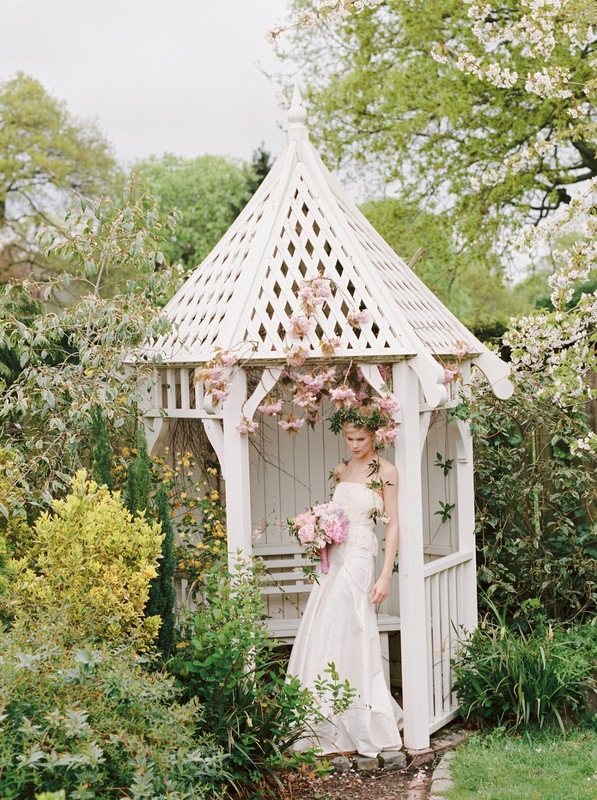 Great to have my dresses featured in this "Blossoming Garden" shoot - a collaboration with Verona Lain Boudoir Photography, Vanessa Birley Florals, BDL Floral Design, Tuva Heger-Bratterud, The Enchanting Cake Company and Coral & Slate Designs. I love when brides send me photos of their wedding day. 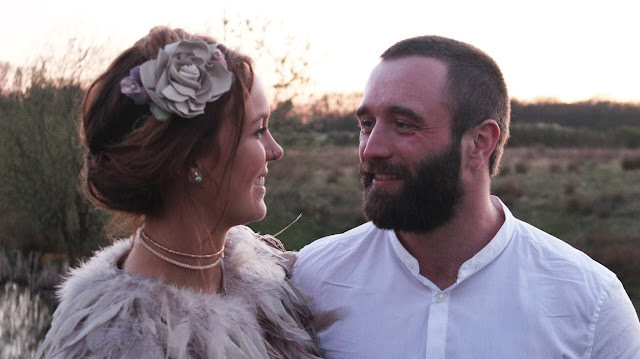 I met Jessica at A Most Curious Wedding Fair back in March where she entered and won my prize draw for a handmade hair piece. 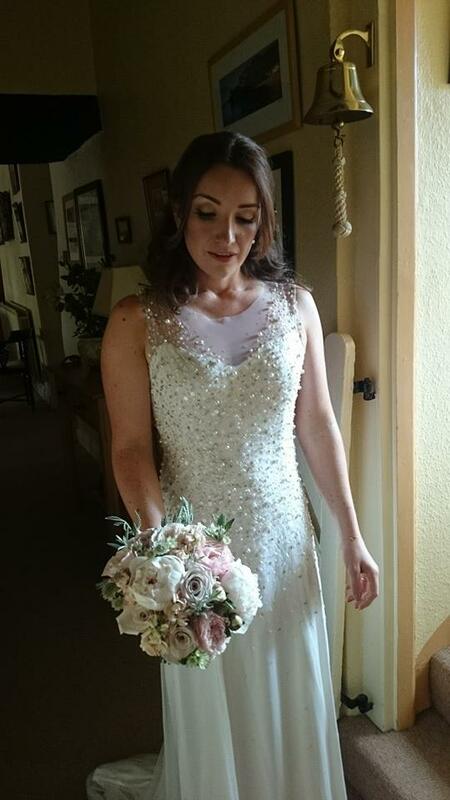 Here she is a few months later looking gorgeous on her wedding day, wearing the her Olwen Bourke bespoke leather flower. Love the feather cape as well! All hair pieces are designed and made to order to match the look and feel of your wedding dress. 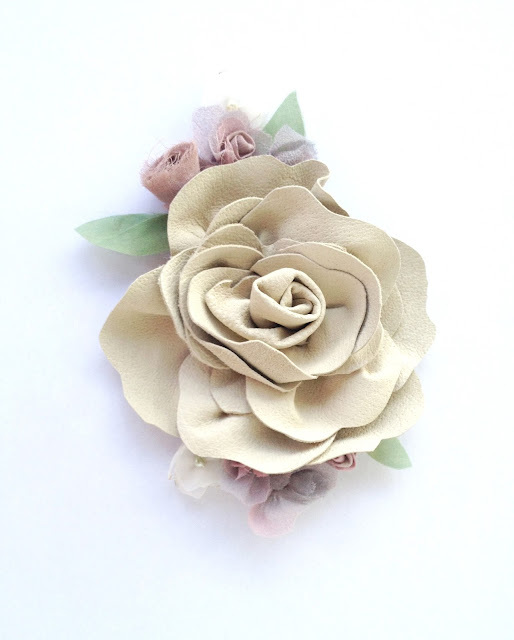 Jessica's is made of soft cream leather, hand dyed cotton and silk chiffon flowers and antique pearls. 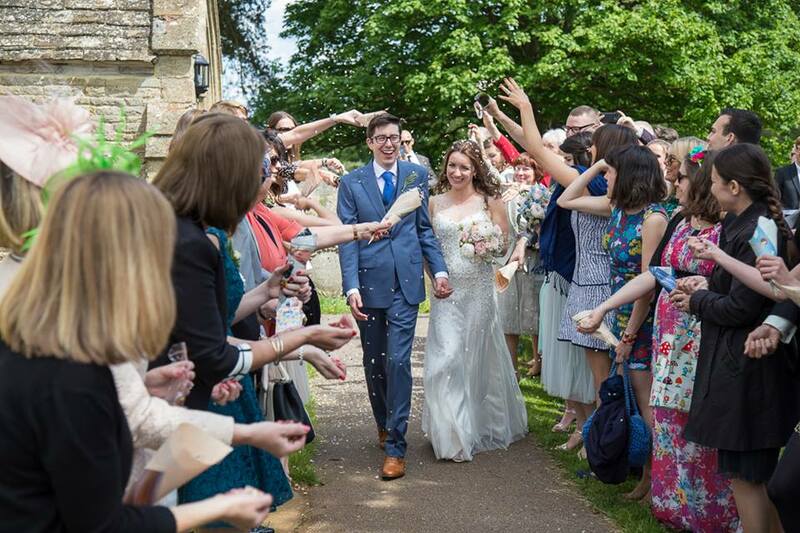 Here are a few pics of beautiful bride Rebecca Miles who got married last Saturday to Jonathan Ablett in a bespoke Olwen Bourke dress. Congrats guys! The dress was made of silk satin with a sheer mesh overlay, hand beaded with gold and ivory beads, sequins and pearls. One of the most sparkly wedding dresses I've ever made!